A massive sinkhole swallowed several cars in a Rome neighborhood, forcing the evacuation of surrounding buildings and raising pressing questions over safety protocols in the Italian capital. 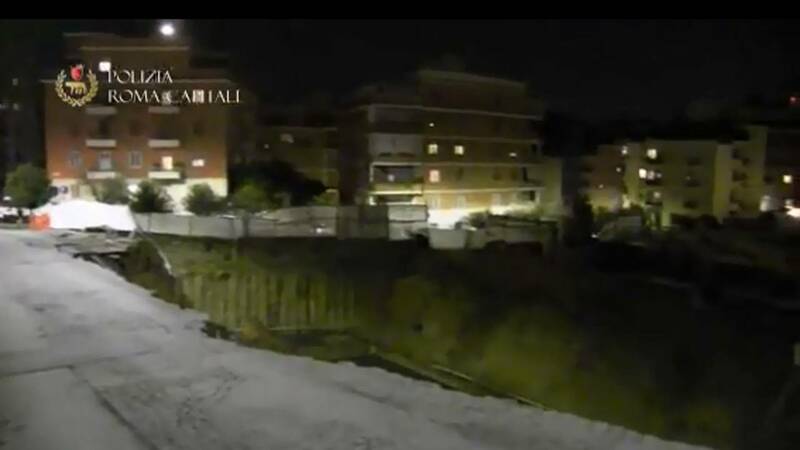 (CNN) - A massive sinkhole swallowed several cars in a Rome neighborhood, forcing the evacuation of surrounding buildings and raising pressing questions over safety protocols in the Italian capital. The incident took place on Wednesday in via Livio Andronico, in Rome's Balduina district, just before 6 p.m. local time, according to Italian firefighters who were called to the scene. "The road had sunk for about 10 meters, dragging parked vehicles with it," firefighters said in a statement. Lawyer Giancarlo De Capraris told La Repubblica newspaper: "In the last three months I filed a complaint to Carabinieri (national police) and firefighters. Everything remained unheeded. I flagged the cracks on the road surface that became deeper every day and the continuous passage of heavy vehicles. This was a disaster waiting to happen." Rome Mayor Virginia Raggi told Italian news agency ANSA: "Those responsible will pay."